Telstra has come under fire by a government regulator and a coalition of competitors for apparent breaches of the telecom giant’s Structural Separation Undertaking (SSU). In an annual report on Telstra SSU compliance tabled in Parliament, the Australian Competition and Consumer Commission (ACCC) revealed that Telstra breached the terms of its SSU on “a number of occasions” in the 2012-13 financial year. Telstra failed to properly secure protected information from Telstra Retail employees, the ACCC said. This data included confidential or commercially sensitive wholesale customer information provided to Telstra in its capacity as access provider of regulated services. 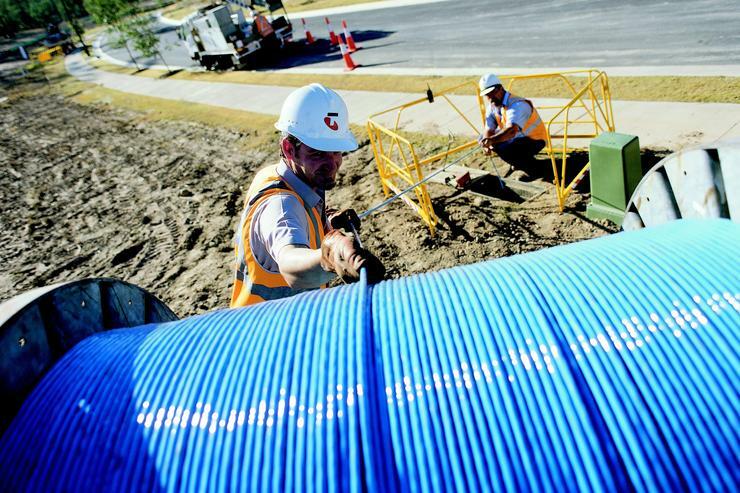 Also, Telstra violated the SSU when it introduced enhancements to its retail ADSL broadband service without providing the same upgrades to its wholesale service, the ACCC said. Separately, the Competitive Carriers Coalition (CCC) condemned Telstra for another equivalence issue. Telstra this month identified a “potential issue” resulting in instances where its retail tests showed that Telstra itself could provide ADSL service even though the wholesale tests used by its competitors showed ADSL could not be provided. This effectively prevented certain customers from receiving ADSL service from anyone except Telstra. “The potential issue arises as [service qualification] systems and processes for Telstra Wholesale customers search the current path used by the PSTN service, whereas the search for Telstra Retail also searches alternate paths,” Telstra Wholesale group executive Stuart Lee explained in a letter to wholesale customers dated 9 May. Telstra said it was still investigating the issue and had reported it to the ACCC as a possible equivalence issue under the SSU. Telstra said it had also submitted a proposal to rectify the problem to the regulator. The ACCC is working with Telstra to stop and prevent future improper conduct identified in the annual report. The ACCC is also working to minimise detriment to Telstra wholesale customers, it said. “Telstra has responded to these matters in a positive manner and is remediating its systems and processes to ensure it meets its SSU commitments in future,” the ACCC said. ACCC Commissioner Cristina Cifuentes said the finding of SSU violations highlights the importance of the SSU. In a statement, Telstra said it was happy for the feedback. Telstra stressed that the security gap identified by the ACCC had not been exploited. Also, the telco said that it delivered equivalent services between retail and wholesale most of the time. “Last year we had more than 100 million interactions with our customers and end users on the Telstra network and we performed very well in delivering equivalence across all these interactions,” it said. Competitive telcos represented by the CCC disagreed with Telstra’s claim that there was only an occasional problem with line tests wrongly reporting wholesale ADSL service was not available. The CCC said the admission confirmed years of repeated complaints from CCC members. “Telstra has finally admitted that it has been rejecting applications for broadband from customers who wanted to use anyone but Telstra, simply because it was not testing their lines properly,” a CCC spokesman said. The CCC said it is waiting to hear from the ACCC on the matter. “This is further evidence of the importance to deliver genuine structural separation of the access network by ensure that the NBN is owned and operated completely independently of any retailer,” the CCC spokesman said.